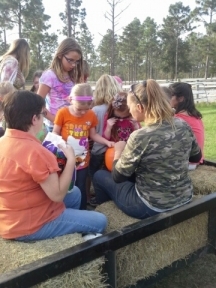 Hay rides, free in costume! 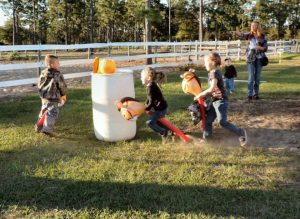 Country- fied Games: horseshoe toss, roping contest, musical hay bales and more. 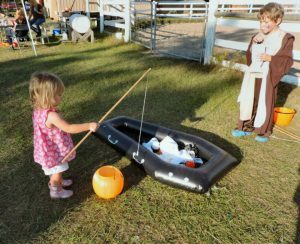 Face painting, horseshoe painting and pumpkin painting. Pumpkins available for purchase and photo ops. Admission $5 per vehicle, includes 5 activity tickets. Additional activity tickets available $1 ea. Hot Dogs, Snacks and Drinks available for purchase. 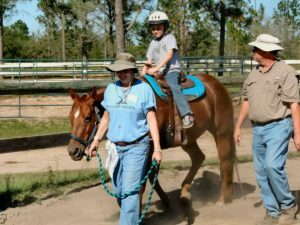 All proceeds for the Healing Hoofbeats Therapeutic Riding Program. Come join us! It's a great time for a great cause!